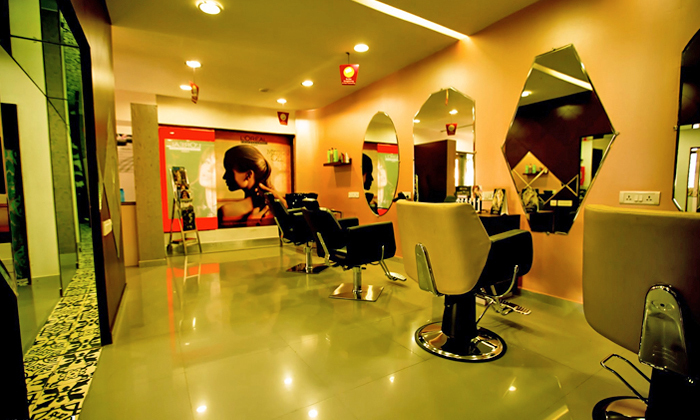 Started several years ago, Vikashni Family Salon and Makeover Studio has seen tremendous growth over the years owing to its quality and dedication to service. The salon specialises in bridal makeup, skin & hair care and offers a plethora of services ranging from facials & clean ups to manicures & pedicures to pre-bridal & bridal makeup packages. Beauty, as we know, is not just skin deep. A large part of that special glow and radiance comes from within, when you feel relaxed & refreshed and for that very purpose, Vikashni offers a range of therapeutic massages that will help you get rid of your stress, relieve you mind and recharge your tired body. What's more is that the beauty studio also offers advanced skin care treatments such as micro-dermabrasion, skin whitening and more so that you can get the skin of your dreams. Hairdos, hair styles, colours and cuts that are in vogue can all be gotten done here through their expert stylists! Vikashni is nothing like an ordinary beauty salon for it offers holistic beauty and wellness solutions that help you bring out a new and renewed you!